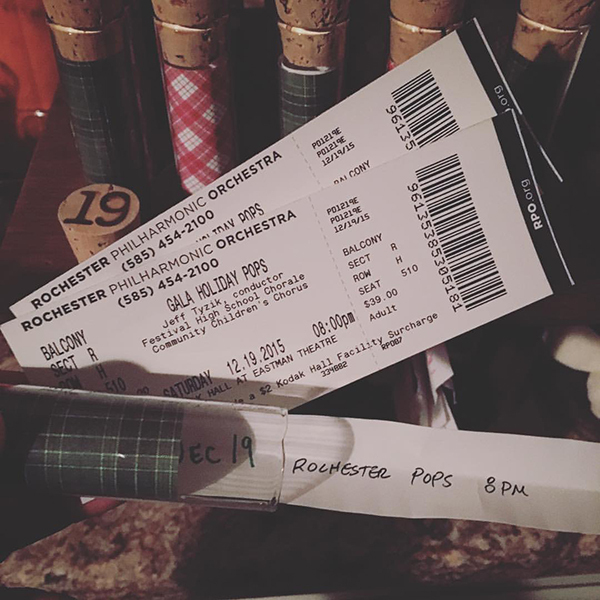 We have been working our way through the advent calendar test tubes and last night Aaron surprised me with tickets to the RPO Holiday Pops Gala! 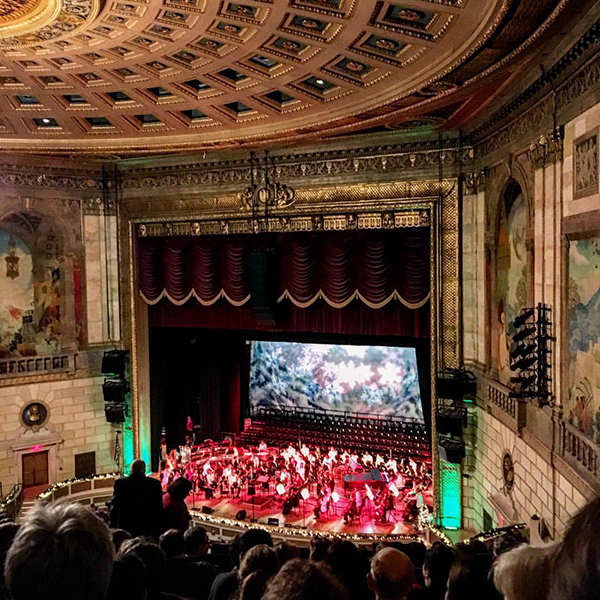 I enjoy any opportunity to visit the Eastman Theatre. 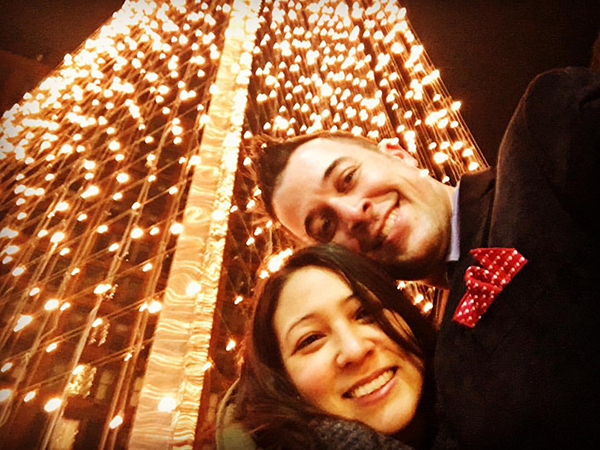 The Holiday Pops are just the thing to put you in the Christmas spirit. Afterwards we walked down to the Liberty Pole to see it lit up with lights. 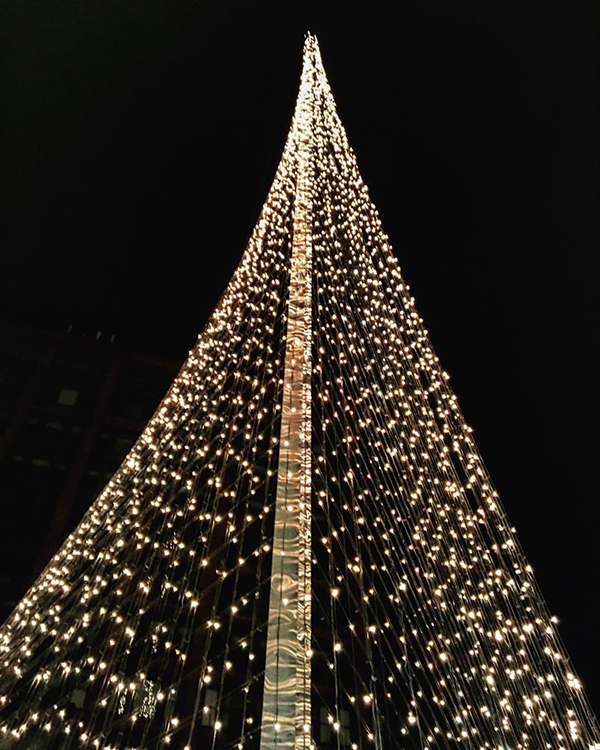 The Liberty Pole is a landmark in downtown Rochester. The first one was erected on the hill at the triangular intersection of East Avenue, Main and Franklin Streets and stood 118 feet tall. The current pole was built in 1965 and is 190 feet tall with a network of steel wires forming a riangle around it's base. There are concerts and other gatherings there but I think it's most well known for the lights at Christmas.